Private jet charter to/from Paris, the cosmopolitan capital of France. 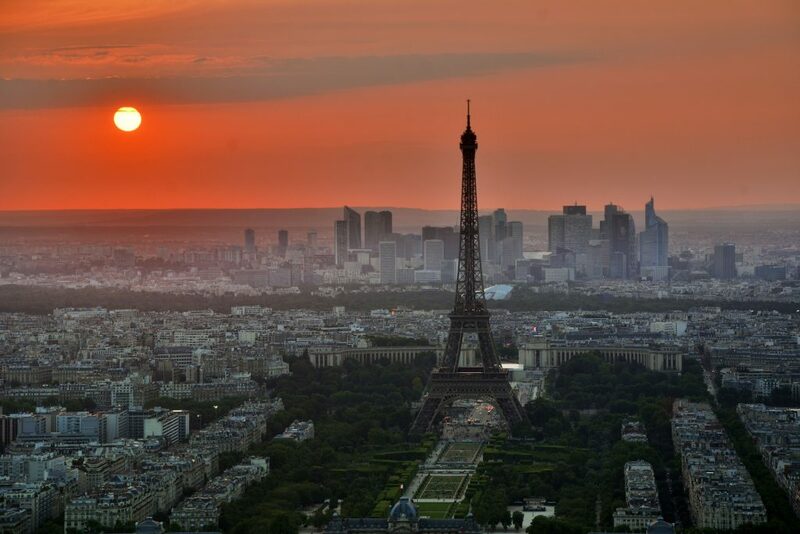 Known as the City of Light, it’s one of the most visited in the world and has earned its reputations as a global leader in economics, culture, art, athletics, fashion, food and design. Renting a private plane to Paris Le-Bourget (LFBG, LBG) is the most comfortable and stylish way to get to the French capital, and our company was created to offer the highest standards in executive and leisure travel. Air Charter Advisors team provides on-demand private charter flights to/from Paris, and with access to thousands of private aircraft around the world, we’re confident we can arrange the right aircraft for your trip, whether you’re flying internationally or domestically. Call now for instant pricing & availability on private jets. Our Paris jet charter company is Wyvern-certified, and all of the planes we use for charter flights to Paris Le-Bourget (LBG) and other private jet airports are operated by FAR Part 135 (or foreign equivalent) air carriers. We run third-party audits on all of the aircraft and operator we work with, as well as only flight crew experience to connect you to the best private jet and pilots for your charter flight. When flying private with ACA, you can enjoy the peace of mind you get from working with a jet charter broker you can trust. We can also arrange luxury concierge services to complement your private charter flight, including helicopters, yachts, auto and more. Our growing list of distinguished private jet clientele has ranged from royal family members, heads of state and C-level executives from major corporations, to celebrities, athletes, VIP’s and luxury travelers from around the world. Allow our team to become your local & global aviation solution for private jet rentals, aircraft acquisition and private jet management in Paris, France. 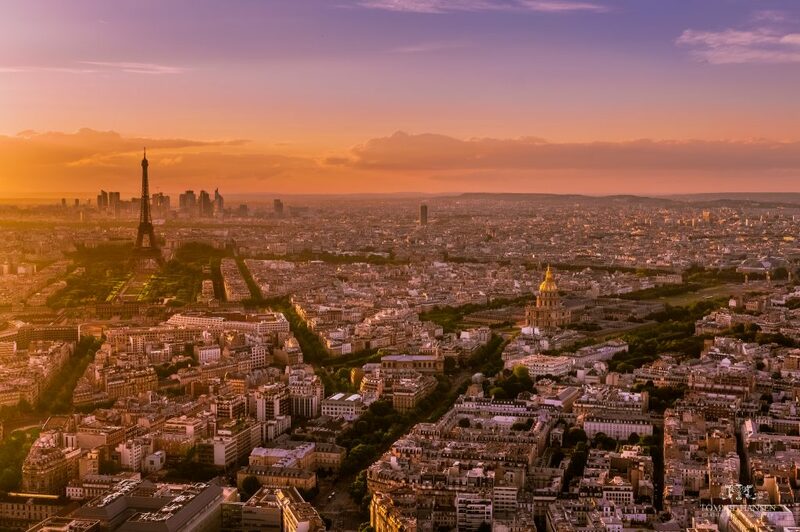 Our Paris Air Charter Advisors are available 24 hours a day and 7 days a week to ensure that all of your needs are met exactly when they need to be, and our hassle-free booking process makes everything easy. We’re transparent, so you know that everything will be as you expect it to be come flight day, and our experience will ensure that your flight with us becomes the most comfortable and efficient yet. If you want to enjoy the most comprehensive and attentive private charter flight experience in the industry, Request a Quote now or call us at 1-888-987-5387 to book your luxury private flight to Paris, France. Private jets can utilize the following airports for private charter flights in Paris, the capital of France, and one of the most popular destinations in Europe for private jets. Paris–Le Bourget is the most popular business jet airport in Europe, and the 24 hour airport is dedicated solely to private aviation, handling nearly 50,000 private flights per year. 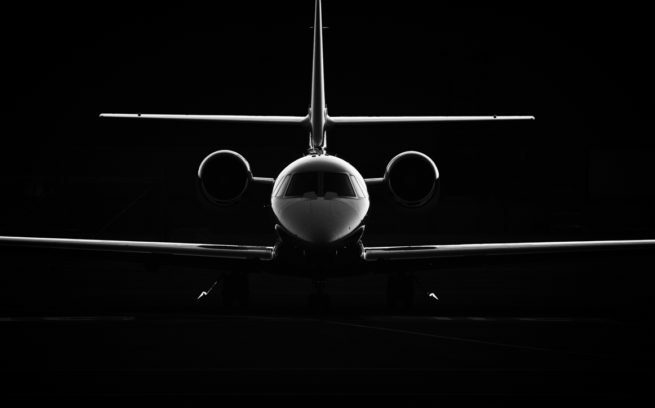 Empty legs become available as business jets travel across Europe, and these transient jets need to return to their base – make sure to ask about potential empty leg private jets when discussing your flight with one of our brokers. ACA can arrange private planes to thousands of destinations around the world for luxury vacations and business events. Learn more about private aviation in France, and check out some of the most popular destination pairings for Parisian flights below. Need to charter a business jet to Paris–Le Bourget Airport (LFPB, LBG) for your executive team? You’ve come to the right place! Air Charter Advisors is your source for private jet rentals around the world, including Paris, home to one of the most popular airports for private aviation in the world, Le Bourget. We work with affluent business travelers to provide them with on-demand jet charter service around the world. Corporate flight departments with their own fleets contact ACA when their planes are undergoing maintenance, suffer a mechanical issues, or need a jet with more range or added capacity. We’re a Wyvern-certified charter broker, utilizing the same safety and due-diligence process set forth by Fortune 500 flight departments. For every trip, you can enjoy the peace of mind knowing we review aircraft and operator history, and we only use pilots with a wealth of experience in the specific aircraft you’re chartering. Charter a long-range jet such as a Gulfstream IV, G500 or G650 and reach destinations such as New York in just under 10 hours, or quickly arrive in Milan in just over an hour. 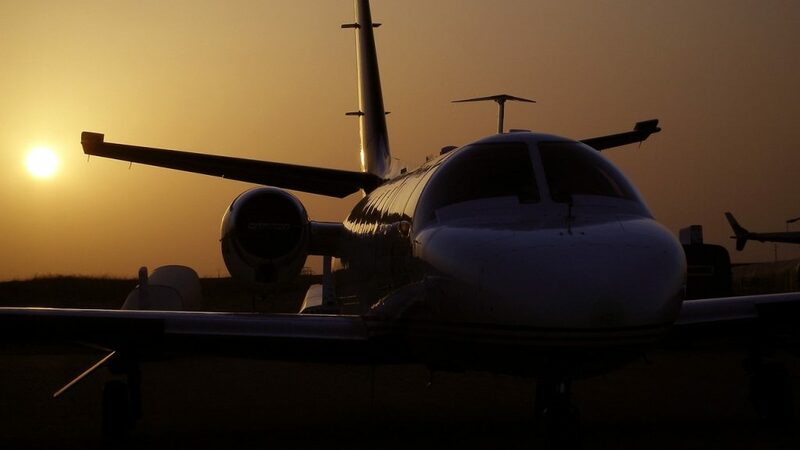 The hourly rates for long-range jets can range between $6,500 – $9,000 per hour, depending on a variety of factors – learn more about jet charter rates. No matter what type of aircraft you prefer, we have access to thousands of private planes in the area that are certified for charter flights, and we’re confident we will arrange the ideal aircraft at the right cost, whether your business has you flying internationally or domestically. If you have a private or corporate aircraft that has a mechanical issue, or you need to arrange simultaneous trips for your business executives, we can arrange a supplemental lift in as little as 4 to 6 hours. Our brokers also offers unlimited quotes with zero obligations, allowing fractional owners and jet card holders to compare us to their current plans. Paris is one of the most beautiful and enchanting cities you can visit in Europe. From its beautiful city plan, exquisite architecture and world famous museums and monuments, to sidewalk cafés, luxurious boulevards and elegant dining, Paris charms private jet travelers from around the world. From Nostradamus to Albert Camus, Napoleon to Charles de Gaulle, and Voltaire to Rene Descartes, the city has been home to some of the most brilliant minds in art, science and military; the aura of romance and mystery surrounding Paris has made it the setting for many novels and movies. Paris was originally founded on a small island located in the middle of the Seine River. The city rapidly expanded along both river banks, and by the 12th century, it was the western world’s largest city, a major trade center, and home to one of the first academic institutions in Europe, the University of Paris. Today, it’s one of the world’s most beautiful and romantic cities, home to a rich history and a modern hub for culture, art, fashion, food and design. It’s also one of Europe’s main culinary centers, and only Tokyo has more Michelin restaurants. The “City of Light” (la Ville Lumière) is also known as the “Capital of Fashion”, and is one of the fashion leaders of the Western world alongside New York, London, and Milan. Some of the world’s finest, most luxurious fashion designers and cosmetic companies are based in Paris, including Chanel, Dior, Yves Saint-Laurent, Guerlain, Lancôme, L’Oréal, Clarins, and more. Book your private jet to Paris with Air Charter Advisors, and read more about everything the city offers luxury private jet travelers below. Paris is located in Western Europe, and features a maritime climate with cool winters and warm summers – the Atlantic Ocean helps to moderate extremes temperatures in much of western Europe, including France. Even in January, the city’s coldest month, temperatures average 43°F (6°C), and are almost always above the freezing point. Snow is uncommon, although it may fall a few times a year. Most of the precipitation comes from light showers that occur year-round. Spring and fall are normally cool and wet, while Summers are sublime, with warm and pleasant temperatures averaging 77°F (25°C) during mid-summer months. With amazing weather and many of the city’s most popular events take place during the summer, May through August is the best time for private jet travelers to visit Paris. Paris is home to more than 12 million residents in its metropolitan area and one of the top economies in the world. 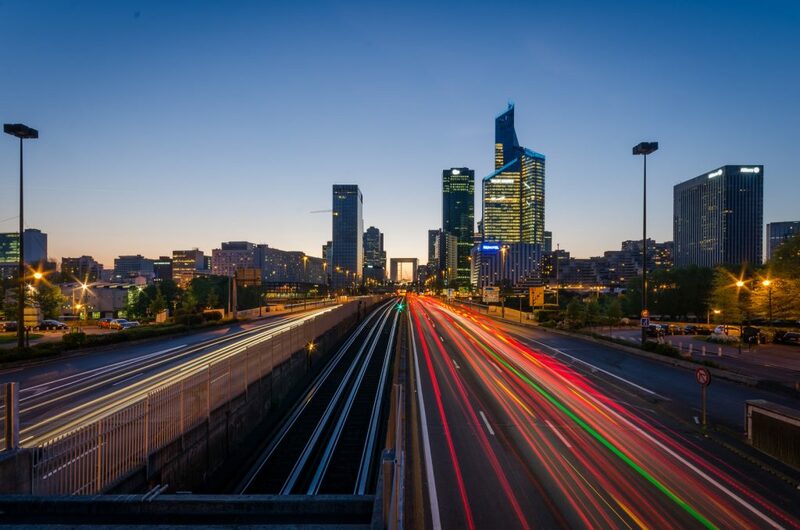 The central business district of the City of Paris is home the lion’s share of economic activity, while La Défense and it’s two extensions, Neuilly-sur-Seine and Levallois-Perret, are important financial districts. Boulogne-Billancourt, Issy-les-Moulineaux and southern parts of the 15th arrondissement are the center for Parisian media and information technology. The top 10 companies in France listed on the 2015 Fortune Global 500 have headquarters in the city; six in the central business district; four in the Hauts-de-Seine Department; three in La Défense and one in Boulogne-Billancourt. No wonder it’s a haven for business jets. Paris, with a 2014 GDP of $865 billion (€650 billion), is the leading region for economic activity in France, and in light of the Brexit vote, its GDP has it competing with London for the leader of Europe. As a world leader in finance, geopolitics, culture, art, athletics, fashion, food and design, there’s always something happening in Paris. Things slow down in February and August during holiday season, when it’s hard to find Parisians since what seems like half of the city half of vacations in the the Alps or Western France. The busiest tourist season last from the fall after or “back to school” week (la rentrée scolaire) until the Noël shows at Parisian theaters, cinemas and concert halls for the Christmas holiday. The events calendar starts off with Maison & Object, a furniture and interior decorating trade fair held in in January. The Chinese New Year (le nouvel an chinois) is celebrated in February just as it is in other cities with a large Chinese population; there are parades in the 3rd, 4th and 20th arrondissements, but especially in the Chinatown section of in the 13th arrondissement south of Place d’Italie. In February, you can also check out the Salon international de l’Agriculture (International farming fair/festival) where you can taste the best products the region has to offer, including wine, cheeses, delicatessen, honey and spices. For Valentine’s Day, there’s no place in the world more romantic than this. One of the spots worth visiting on a romantic private jet getaway is the Square des Abbesses in Montmarte-La Chapelle to check out the ‘I love you’ wall (le mur des je t’aime). The first of two Fashion weeks takes place in March, when Spring Fashion Week provides designers with a platform for women’s ready to wear collections (prêt-à-porter) for the following winter. 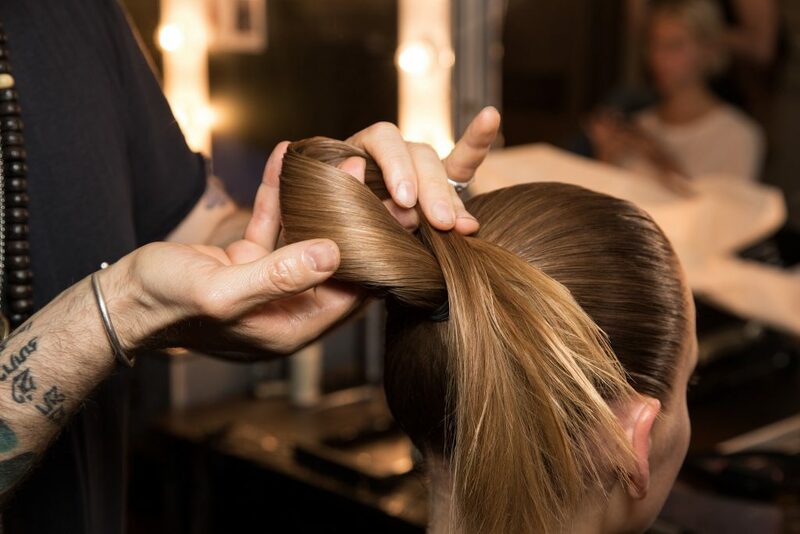 Fashion Week returns again in October, showing off collections for the following summer. Athletic events heat up in May, when the Ligue 1 season draws to a close and PSG competes in the Champions League. Over two weeks beginning on the last Sunday of May, the world’s top clay court players in Men’s & Women’s tennis are decided at the French Open. The summer solstice (June) is celebrated during the Fête de la Musique, with free, city-wide concerts by amateur musicians until 1am (sometimes later), and the Gay Pride parade, one of the largest and most inclusive in the world, takes place on June 26th. La Fête Nationale, the French national holiday referred to as Bastille Day, takes place on July 14th and celebrates the storming of the infamous Bastille during the French Revolution. 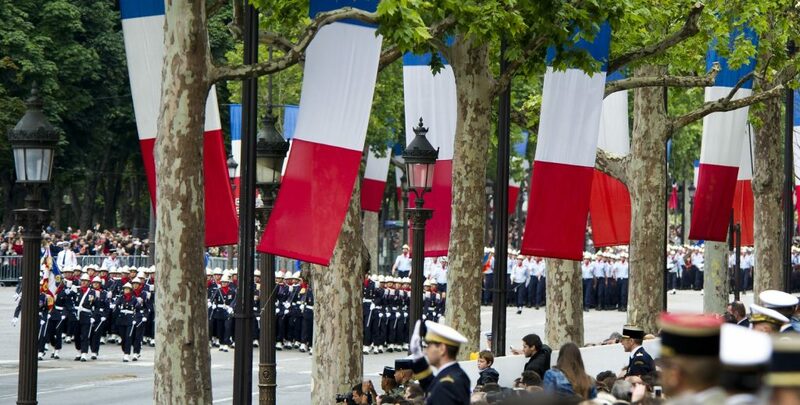 During Bastille Day, the French Capital hosts a variety of spectacular events, the most well-known event being the Bastille Parade, held along the Champs-Élysées. The parade features the French army, including tanks and an aerial acrobatics show by the Patrouille de France, a group of highly-skilled pilots similar to the British Red Arrows and the Blue Angels. 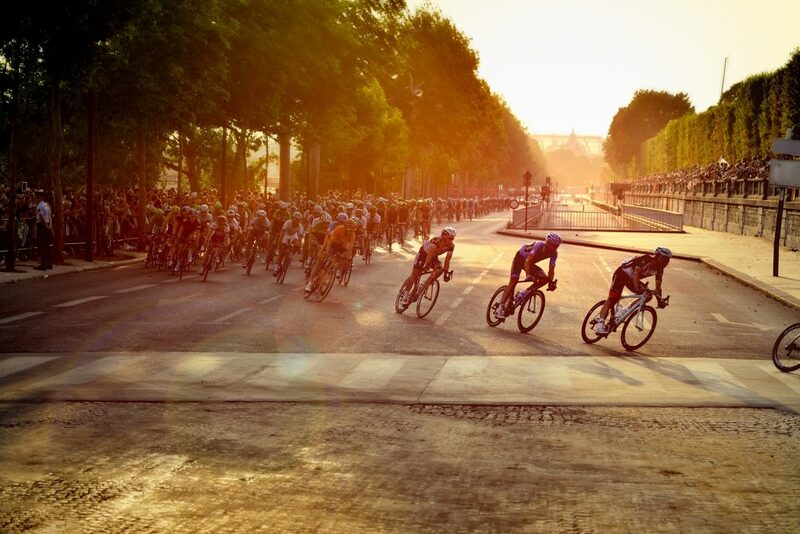 The Tour de France takes place in July and is the world’s premier cycling event; although the route varies annually, it always finishes on the last Sunday of July under the Arc de Triomphe. Le Beaujolais Nouveau, the most popular vin de primeur, is released on the third Thursday of November (Beaujolais Nouveau Day), marking the beginning of the Christmas season. Christmas lights are lit in a ceremony on the Champs-Élysées, attending by thousands of visitors and dignitaries, including the president of France. Iconic landmarks and world-renowned museums such as the Arc de Triomphe, Notre-Dame, the Louvre Museum and the world’s most visited tourist site, the Eiffel Tower, make Paris one of the most popular tourist destinations in the world. One of the great pleasures you can experience during your visit to the City of Light is walking the streets of Paris – it’s entirely possible to cross the entire city in just a few hours if you can somehow keep yourself away from stopping at a café or a boutique shop. The city of Paris is split into 20 arrondissements, each with its own character and appeal. The right bank of the Seine developed into the city’s commercial center, and the left bank is where you’ll find the University, as well as all things artsy and intellectual. The city’s center makes up the first eight arrondissements, and is where most of the historical and cultural landmarks can be found. One of the most easily recognizable structures in the world, the Eiffel Tower is the world’s most visited tourist attraction and has inspired more than 30 replicas world-wide. Breathtaking views of Paris can be had from atop its 1,063 foot tall observation deck. 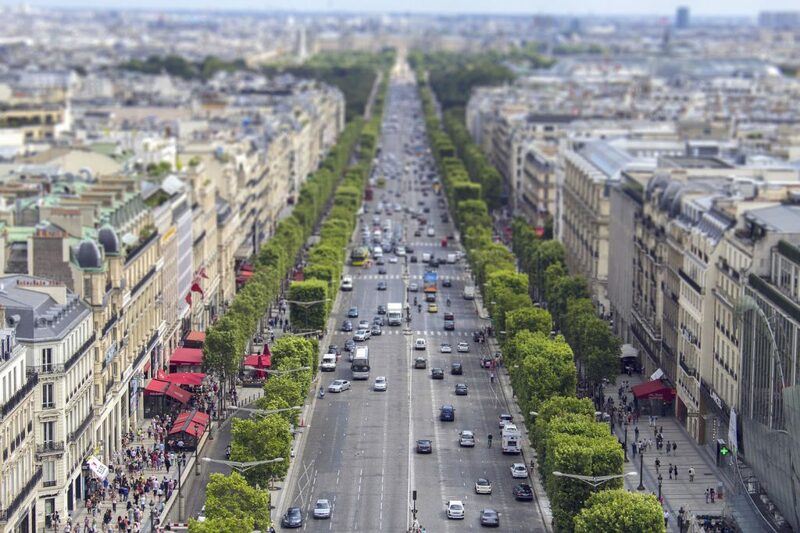 The most beautiful avenue in Paris is the world-famous Champs-Élysées, located in the 8th arrondissement. Known for its theaters, cafés and luxury and boutique shops, it’s also the location of the annual military parade to celebrate Bastille Day, and the Arc de Triomphe can be found standing at the west end of the Champs-Élysées. Versailles Palace, also know as “Château de Versailles”, was commissioned by the Sun King, Louis the XIV, to escape the political turmoil of the capital city. The Palace is located in nearby Versailles, and served as the official royal residence for the Kings of France from 1682 to 1790, when they were forced to return due to the French Revolution. Paris is the home to the most famous art museums in the world – there’s the Louvre, the world’s most visited museum where you’ll find Da Vinci’s Mona Lisa; the Musée d’Orsay (pictured below), celebrated for its French Impressionist collection and featuring works by Renoir, Monet, Van Gogh and others; and the Musée National d’Art Moderne, a modern and contemporary art gallery. 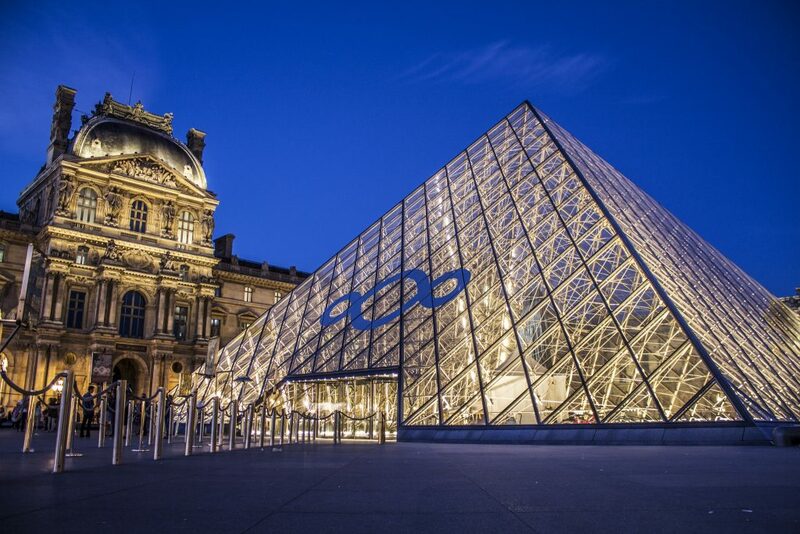 One of the most convenient ways to experience all the sights Paris has to offer is with a Museum Pass, a pre-paid entry card allowing you to visit more than 70 museums and monuments, including the Palace of Versailles. Passes are available for 2, 4, and 6 consecutive days. The Museum Pass allows you to skip queues, a huge advantage if you’re flying private during peak tourist season. All national museums and monuments are free every first Sunday of the month, and many public museums and monuments are free for EU citizens or long term residents. However, be aware that several museums, restaurants, and other locations close during August for the traditional Parisian vacation month. Paris, the glamorous capital of France known throughout the world as “The City of Lights”, is one of the most visited cities every year, and a popular request for private charter flights. 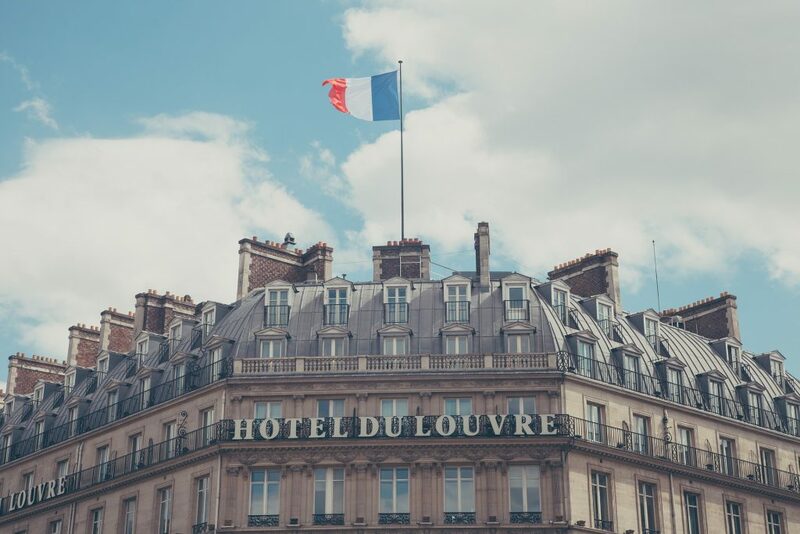 Home to the Eiffel Tower, Notre Dame, the Louvre and many other famous landmarks and museums, the city is also home to an excess of five-star luxury hotels. Our top choice for clientele wishing to experience the best of France is the Royal Suite at the Hôtel Plaza Athénée. Truly Parisian in style, this lavish suite features French regency furniture, marvelous antiques, touches of silk, damask and gold-thread embroidery, and a balcony providing incredible views of the city. The following list of other five-star luxury hotels is based on passenger feedback, location, amenities, and online reviews. Once you arrive in France via luxury private jet, our Paris Jet Charter service brokers can also arrange ground transportation to the hotel of your choice. In Paris, sporting events are just as popular as art. The Stade de France was built for the 1998 World Cup and the 80,000 seat stadium is home to the Association Football Club Paris Saint-Germain; there are also many new facilities and improvements after France hosted the 2016 UEFA European Cup. Private jets available on-demand around the world from Air Charter Advisors. Enjoy instant access to the following planes for private charter flights to/from Paris, France, all operated by FAR Part 135 or 121 (or foreign equivalent) air carriers. There are many private planes based in the area, as well as hundreds of transient jets becoming available for empty leg charter flights. Check out our Aircraft Gallery for more details on all of the planes available for air charter service to Paris, and if you don’t see your preferred aircraft type listed below, speak to one of our brokers and they will locate one for you. The following examples of hourly rates for private jet, turbo-prop and helicopter rentals in Paris, France. Due to the high-volume of flights in the capital of France, many operators offer empty leg charter flights, which can greatly reduce the cost of your rental. Air Charter Advisors utilizes the following airports to arrange private air charters in Paris and surrounding areas of the French capital. Le Bourget (LBG) is dedicated to private aviation, and is the preferred choice for many business jet clients. (LFPB, LBG) Paris–Le Bourget Airport is the closest airport to the city center, it’s open 24 hours a day, it doesn’t require aircraft slots, and with 7 private terminals – the most in Europe – it’s a true business jet hub where travelers can enjoy exceptional guest services and seamless arrivals/departures. Three bituminous concrete runways measuring 9,843 feet (07/25), 8,743 feet (3/21), and 6,053 feet (09/27), allowing private aircraft of any size to arrive or depart from the airport, and hangar space is available for both small and large aircraft, including Boeing Business Jets (BBJ) and Airbus Corporate Jets (ACJ). The only limits you’ll find at Le Bourget are placed on jet engine take offs, which are not allowed to depart between 10:15 p.m. and 6 a.m. local time. Also note that non-European Union-registered charter flights require a landing permit, which can take up to five working days to receive – your ACA broker can obtain all of the required documentation for your flight. 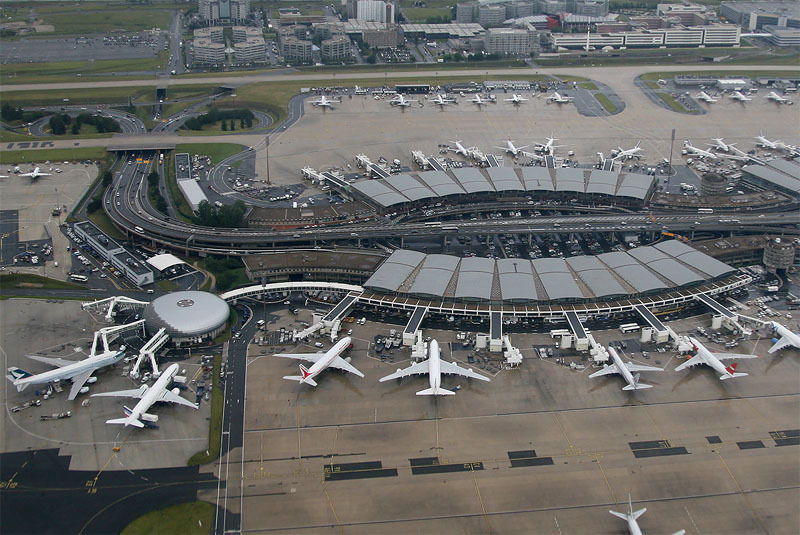 Le Bourget also has a rich aviation history, serving as the city’s first and only airport until Orly opened in 1932. 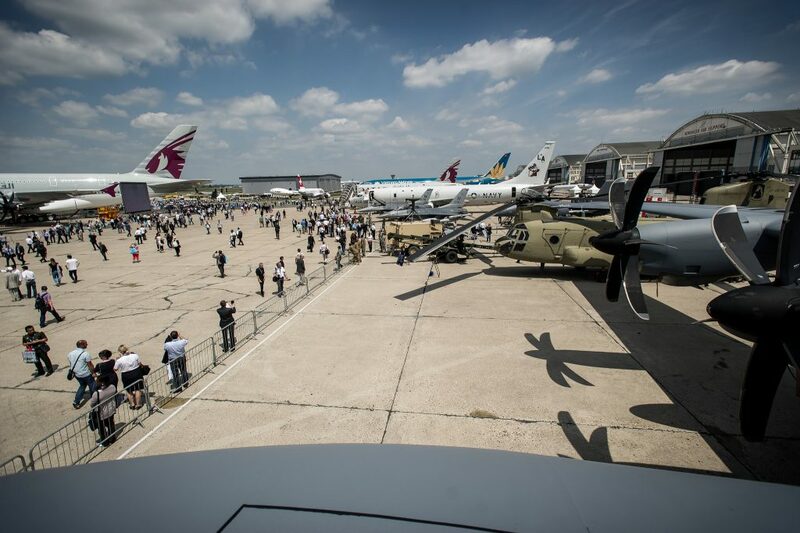 During this time, Le Bourget was the site of a number of historic events, including the arrival of Charles Lindbergh’s famous transatlantic flight in 1927, one of the great milestones in aviation. Since 1975, Le Bourget has been the home to the Musée de l’Air et de l’Espace, France’s premier state-owned aviation museum. Call ACA to arrange your business jet Paris-Le Bourget (LBG), the world’s premier business aviation airport. ACA can arrange your private flight to Paris Charles de Gaulle Airport (IATA: CDG, ICAO: LFPG), also known as Roissy Airport, the largest international airport in France. The main gateway into the City of Light is named after the former President of France, Charles de Gaulle (1890–1970), one of nation’s most influential politicians in its history. It’s the main hub for Air France, and the European hub for Delta Air Lines, providing four massive runways to handle any size aircraft, and lots of them. Although (CDG) Charles De Gaulle accepts business jet traffic, it’s main functions is commercial traffic, creating some limitations. First, slots are required for private jets to arrive at Charles De Gaulle (learn more about private jets and airport slots). Additionally, any plane carrying less than 25 passengers must receive prior permission to land, and it can take up to 24 hours to process a request; corporate jets requesting to land may be denied permission if the passengers do not have connections to commercial flights. Finally, stage three and stage two aircraft have limited to departure times between 5 a.m. and 11:59 a.m. local time, and 6:01 a.m. and 11:14 p.m, respectively. That said, business jet passengers connecting to a commercial airline can still use Charles de Gaulle, but aircraft are only permitted to stay on the ground for a limited time, and must depart once commercial aviation customers have departed. Charter a private flight to Paris Orly Airport (IATA: ORY, ICAO: LFPO), an international airport located 8 miles south of the city in both Orly and Villeneuve-le-Roi. Facilities include two separate passenger terminals (south & west), and there are three runways to accommodate any size private jet. Orly was the city’s main airport before Charles de Gaulle was built, and today it serves as the homebase for Transavia France, and a secondary hub for Air France’s domestic and international flights. Orly remains the busiest airport in France for domestic traffics, and the 2nd busiest overall, handling nearly 30 million passengers in 2015. 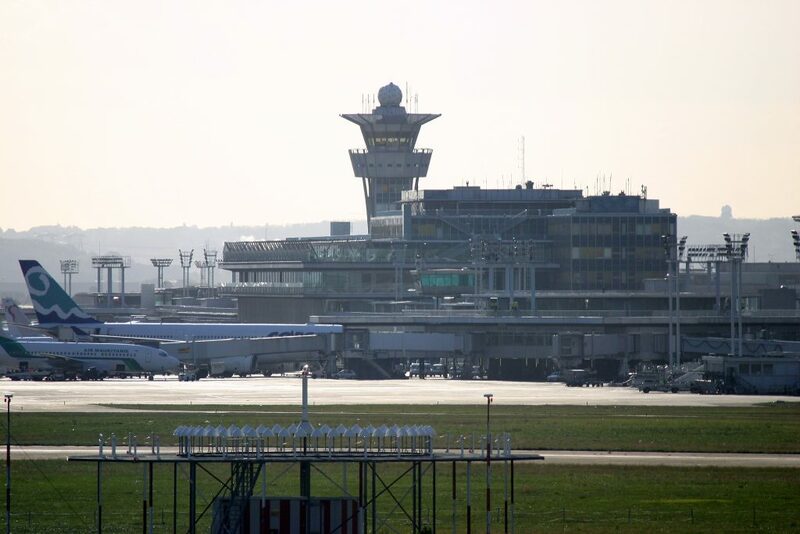 Like Charles de Gaulle, there are similar restrictions in place for private aviation at Orly, and business jets can only access the airport for diplomatic reasons or with travelers connecting to a commercial flight. Slots are also required at Orly, and land permits/prior permission must be obtained for international flights and flights carrying 25 or more passengers. 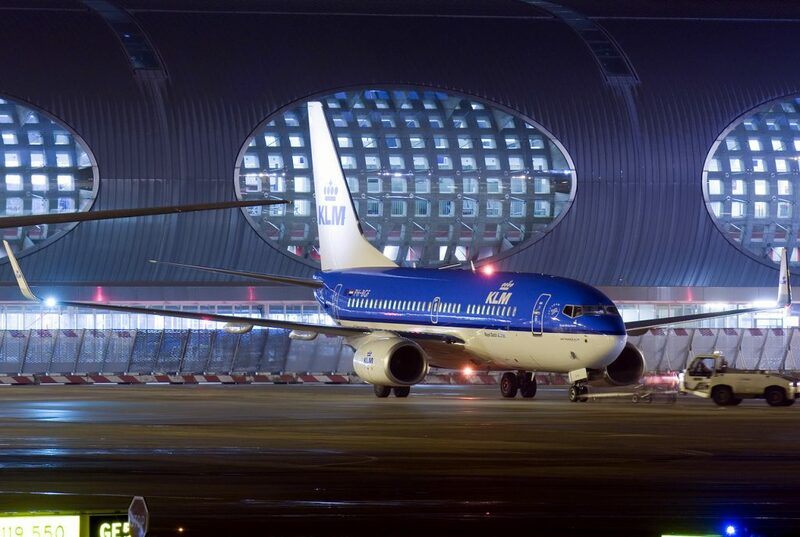 Orly operates between 6 a.m. and 10:30 p.m. local time. There are many additional airports available located within 50 miles of the capital of France, including two dedicated to business aviation – (TNF) Toussus-le-Noble and (POX) Cormeilles En Vexin. Call one of our brokers to discuss which airport works best for your trip, and ask about available empty legs in the area. Request a Quote or give us a call at 1-888-987-5387 to speak with one of our private jet brokers and find the best deals on private jets in Paris for your next luxury vacation, business trip, or special event. Whether booking a private flight for business, to spend a romantic weekend with your lover, or to enjoy the tour de force of art found near the finish line of the Tour de France, we can help arrange the right aircraft and flight itinerary that best suit your needs. ACA knows understand that your time, privacy, flight preferences and most of all, safety, are all extremely important. Our representatives are available for you by phone and email 24 hours a day, 7 days a week. When using our private aviation service, you can expect quick response times and an easy, hassle-free booking process.